Not only making it rich, for achieving every success in life you need the right attitude. “making it happen somehow” doesn’t really work. But, “making it happen by doing such and such” usually works most of the time. I am talking about setting accurate goals and having proper plans to achieve them. your attitude will determine if you’re going to make it rich one day. It’s the mindset and attitude that differentiates a millionaire and a non-millionaire. Have you seen Donald Trump and the words that he speaks? Even in a presidential debate, he could boast about taking advantage of tax laws to evade taxes. That’s actually a billionaire mindset. That’s a smart money decision. I believe in having right money attitude that’s absolutely essential for accumulating wealth. I like to write about them I believe and strive to become rich emotionally, spiritually, mentally and of course monetarily. So far I have talked about becoming rich by creating value, by taking care of your health, by effective time management, and by having an obsession. I also showed, with calculation, how saving 1 hr of wage daily can make you rich over time. Here, I will touch upon human attitude and mindset that clearly differentiate a rich from a middle-income earner. We know about people with a tremendous potential ending up a mediocre. I don’t want to live a mediocre life long, I want to make it rich one day. I earn six figure income and 5 figure side income. But I want to have more wealth. I want to have so much that I can provide my family till I live and give back to the needy and poor. While I want to enjoy life, want to wear latest brands, want vacations in exotic places, I also don’t want to forget my modest and lower-middle-class upbringing in India. I have seen poverty so, I want to do something for the poor there. I want to continuously grow richer in every aspect of life. I am working on my attitude ever since I realized that attitude makes a lot of difference in our lives. While attitude and mindset make one richer, however, on the other hand, attitude makes one fall from richness as well. We hear stories of one-day millionaires, broke sports persons and homeless lottery winners. They capitalized on the something they didn’t know and spent all their earning foolishly. They didn’t know how to handle the wealth and opulence. Their attitude prevents them from keeping their money safe, their attitude makes them blind to the fact that one day their income potential would cease. Remember this, your money alone won’t make you rich, but it is your attitude that will push you up the ladder of prosperity. It is having the appropriate perspective on finances that will make your money grow and continuously growing. How can just a change in attitude can make you rich? There are really two ways to make it rich. One, by opening larger income stream(s) – by having extra income or by reducing your expenses while trying to increase salary. I’ll state why attitude is important in both the ways. Remember the parable of the talents in the bible? One of the slaves just put the coin into the soil and wait for the master to come. Meanwhile, the other slave used it so it will earn double, triple, and quadruple. The master was impressed with the slave who invested his money but disappointed to the one who just keeps the coin in the soil underground. An attitude to have patience, where you don’t go after every phone upgrade or do not trade in your car every 3 years is an important factor in how quickly you can accumulate wealth. An attitude to work smarter plays an important role, does your quest for money starts at 9 and stops at 5? What productive work you do outside of regular work hours? An attitude to put money to work and make it grow by taking calculated risk determines how quickly you can make money. If you start a business, an attitude of creativity, taking care of customers and creating value for them make your business thrive. No matter what status you have in your life now, it is time to have a shift in attitude if you think you are losing you a way to being rich. Here are some points to consider so you can move up to the ladder of success. As I said above about my goal of accumulating enough wealth to give back to the society, it’s my goal. What is your goal? If you can’t find a definite answer, then you need to work on your mind and attitude. Having a clear objective is necessary, it gives you the sense of speed and direction. So, work on your goal a bit. See why and how much you need to make. Some people develop a habit of making money. But I think they initially start up with a goal in mind and then the continuous persuasion towards the goal makes this a habit. An aimless attitude leads you to make money mistakes—unless you learn to adopt better money habits. By money mistakes, I meant spending it foolishly and failing to grow your money to its potential. How organized are you? Are you good at managing your money? Do you keep track of every item on your credit card bill? Can you identify the expenses by looking at it? If you want to start a business to earn money quicker, start by asking these questions to yourself. Gauge how prepared you are to manage your business successfully. Financial advisers will ask, “What will you do if someone gives you $1M at this moment?” Sad to say, many failed to answer in speed after they were asked about this question. Some just shrugged their shoulders, some laugh with unbelief, and some took time before they were able to answer. These gestures are just indicators that you aren’t ready to be rich. So if you haven’t contemplated on this question yet, now is the time. Make a list today, what you’ll do if given $1M now. Once you answered, have a look how many of those are about spending the money in a depreciating asset and how many are investments towards an appreciating asset. Now, let’s say you want to make it rich by having the same day job, now ask you yourself – Can I make 5% more by next year? Can I go one level up in another 3 years? Can I switch job and earn 10% more than what I was earning? Do I need to get further education to move a level up? Now based on the answers, chart a plan of action then stick to it, take expert advice, get a mentor at your work who’s at least one level higher than you. No wonder Warren Buffet lives in a home built in 1960’s. Many celebrities are penny pinchers. If you research on rich and famous lifestyles, you’ll be surprised. These people are the ones who do not spend even a cent if not needed. They are not greedy spenders and they think a thousand times before they buy something. They won’t clutter their home with unnecessary things. After all, they are rich because they are good at keeping their money and not spending it away. Another significant trait of rich is the exceptional knack of investment. Thinking long-term is the key. If a spend can potentially increase future earnings, they won’t mind spending it either. Look at house flippers. They spend money to buy a home, they spend more to make it better. They spend money on staging it for sell. 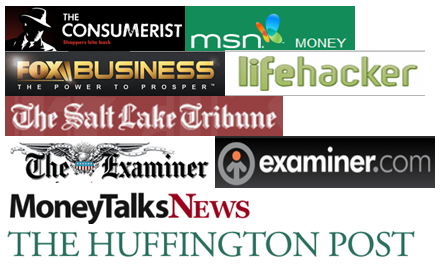 At the end, they make a tremendous amount of money from home sells. Spending money to earn more later is an art. This requires money awareness. If your attitude is to show off your car or your home or even your clothes, you probably take better care of the cars, the home and the clothes you wear and make them look nice and clean, rather than replacing them before they die a natural death. Did you replace your last smartphone because there was a newer model in the market or because your old phone needed a replacement? You see what I meant? Again, it is not only to invest; it is to invest wisely. Taking time to study the financial market is a good strategy. You will have knowledge where to invest your money and how to make it grow. If your attitude is to only keep the money safe, then you can park all your money in a saving account or a CD. But, in the long term, you’ll lose money to inflation. Invest with a proper goal in mind, have patience, do not react in panic. Do not short sell your investment, just because there’s a gloom in the market. This requires a change in attitude where you become a risk taker instead of playing it safe. You can’t become rich quicker without taking risks. Do not be reckless either, you need to have balance. Are you satisfied with the current rate of wealth accumulation? or in other words, are you happy with our investment rate of return? I know you are not, nobody is, actually. So, in that case, can you increase your net worth 10% by next year? Ask yourself. If you can, then set a goal and make a written plan to achieve the goal. You do not have to lookup everywhere and use a calculator, you can get it from free online tools like Personal Capital. They will show your net worth as well when you link your financial accounts to it. Now, see how many change it attitudes the plan requires. It’s a not one task or a set of jobs that you’ll need to do differently, it’s about the whole attitude that needs to be changed. Learning new skills, spending to groom your body and spending for preventative care are all examples of investing in yourself. You should earmark a portion of your income towards self-development. When you develop your skills and better your health, you actually are positioned for a raise. If you’re a business owner, marketing or customer management lessons may bring in more money to your business. The more you know – the more you earn and as an added advantage, you also get more humble and a better human being. With better health, you can do a lot more in any given time. You get more energetic. Exactly the qualities a millionaire possesses. Reading is another investment of time you can put in. Reading gives you knowledge, perspective, a sense of responsibility and purpose. Reading makes you a better person in many ways. To earn and keep the money you need to bring right attitude and mindset. First work on having a purpose, a goal to use the money. Then determine how much you need what you want to do to meet the goal. Take care of your finances, stop foolish spending and invest it wisely. Invest in yourself, improve your skills and grow your trades. Remember, you can shape your future and destiny. Having a right attitude will help you all the way. Readers, thanks for reading and trying to have a right attitude. Add your thoughts and leave valuable comments. Attitude is everything. Thinking positively helps in sticking to a budget, advancing in your career, and in developing relationships. Being rich also doesn’t have to be defined by monetary terms alone. After all so many incredible things are free! Yes. Having a good attitude can certainly increase one’s chances of becoming rich one day. It really starts with you. Great post man! I definitely think attitude goes a long way towards building wealth. First of all, you have to have the perspective that you can control your future. Then you have to be able to prioritize the things that are truly important in your life and take the attitude that your priorities alone are what matter, not other people’s perceptions, and work singularly towards them. People with a negative attitude never get anywhere. You have to keep working to improve yourself. A positive attitude will help you get a job, make friends, and many more things. What would I do if someone gave me $1,000,000 today? Pay off my mortgage, and invest the rest according to my investment policy statement in core index funds at Vanguard. A positive attitude is necessary to succeed! You need to believe you will succeed. Too often, people defeat themselves. I’m not sure I need a change of attitude to become rich. I have worked hard to become someone who is known in engineering circles for the work and research I’ve done. And I am well compensated monetarily, as well. My wife and I both work hard to have the life we have. We are on track to retire in less than 10 years. In some parts of the world, we would be called rich. In others we would be upper middle class. We are happy with that. The more I educate myself about finance, the more I notice the common thread of the impact of attitude and belief. Of course, it could just be that I tend to gravitate towards those books. But that doesn’t change the fact that the more I focus on improving my attitude and belief about money, the more money comes into my life. Having positive attitude and mindset can really help turn our life around for the better especially if we want to become rich and successful. I think you’re spot on here! Attitude is such a big thing and many either fail to see that or simply won’t change it. I find that it has become even more important now that we run our own business. We want to grow it and see it succeed and our attitude is key in that. Having a financially positive attitude is a key component towards building a strong foundation for your future. Develop the habit to reward yourself by saving and investing income and living off of less. 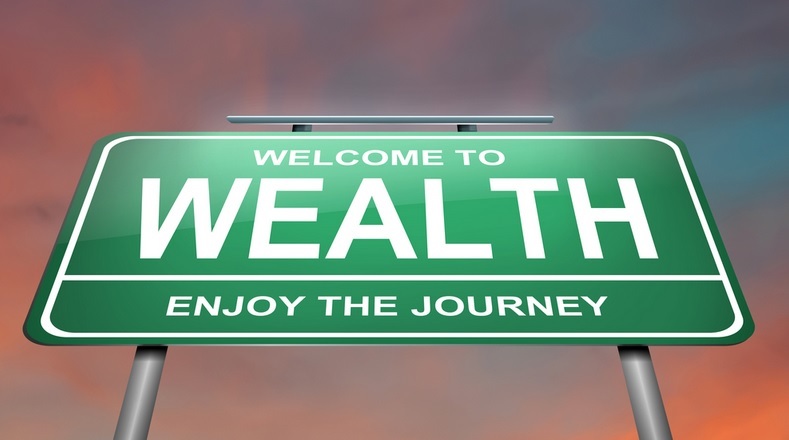 Every dollar you can set aside that you do not need, is going to be able to generate wealth. By allowing this freedom fund toward financial independence to compound over time, you can then pass along the money to future generations. By getting families to work together to build wealth collectively, you can weather any storm and be a strong family for a long time. I’m not much of a fan of positive thinking. I guess it’s better than negative, but it all seems very selfish and self-serving. I believe we need to have positive attitude not toward so much wealth, but toward life in general. It’s all about being content and thankful with what you have and being able to think positive given whatever your cards are dealt with. Just my $0.02. Very sensible advice here. It does take a lot of patience and hard work to become rich. It takes the right attitude to stick to the goals and even exceed those goals. Working for an 8-hour job isn’t enough for me to become rich. It is absolutely a waste of time to stop working after an 8-hour shift. Attitude plays great role in our thoughts and perceptions. like if we are emotional type person then we think and act accordingly. so in forex also if we act progfessionally then wee can able to perform well. in this article very nice and motivational advice is given here it really helpful thanks lot. Great post buddy, You are right…….. Attitude is everything in whatever it is we do. An attitude can make you winner or loser. Nice post! This is a great post, attitude is one of the most important peices. You must be very disciplined to become rich. If you can change your attitude, you can make it fun to save money or add another income stream or work extra hours.